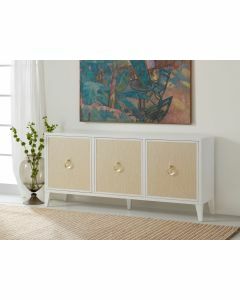 The Riviera Three Door Credenza features intricate rattan door fronts. 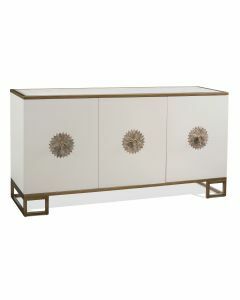 It is highlighted by brass accents and has a white painted case. 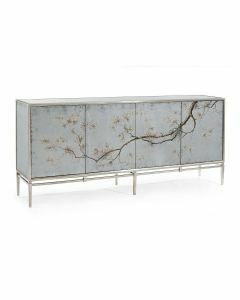 It measures 70”W x 18.5”D x 32”H. Click on image for greater detail.